When faced with the possibility of a damaged reputation, incarceration, and other penalties, finding the right defense firm is crucial. That is why you should carefully consider your options. At the Law Offices of Jed Silverman, we believe in providing arrestees, suspects, and defendants with the honest information they need to make the right choice in their defense counsel. We are confident in our ability to represent defendants in the criminal justice system and will fight tooth and nail to secure the best possible result in every single case we take on – our trial success rate is evidence of this. Our founding attorney, Jed Silverman, has been in practice for more than 20 years and has handled more than 3,000 cases in this time. He is among only 10% of attorneys in the state to be recognized as a Board Certified Specialist (Texas Board of Legal Specialization – Criminal Law). During his career, Jed has received numerous accolades, such as selection for inclusion in the list of Texas Super Lawyers® from 2006-2014, and is a regular face in the news. He is a skilled litigator who understands the value of negotiations at any stage of a case to seek the most advantageous outcome. 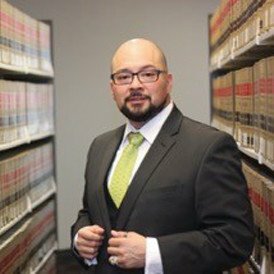 Associate attorney Trinidad Zamora, III brings his own experience of nearly 20 years with the Texas Department of Criminal Justice. Mr. Zamora’s insider knowledge proves invaluable in its application to criminal defense. Cecilia Rodriguez and Montsseratt Garcia, the legal assistants at our firm, provide exceptional services and a compassionate attitude while handling various tasks for our team. Led by Mr. Silverman, the entire team at our firm stands prepared to work for every individual who seeks our help. Facing criminal charges or even informal allegations can threaten every aspect of your life, livelihood, and relationships. We recognize this and apply our collective knowledge, experience, and resources to every client’s case in pursuit of his or her ideal outcome. Personalized service and timely responses are also to be expected when you work with our firm. Whether you are seeking counsel in the face of informal allegations of a drug crime, have been arrested for DWI, or would like to discuss your options for expunction, please do not hesitate to call a legal professional at our firm. Contact The Law Offices of Jed Silverman at (713) 597-2221. Trinidad brings 15 years of experience in the Texas Department of Criminal Justice and an insiders edge to our team. He is committed to protecting the futures of clients.